Styles P is possibly one of the hardest emcees to ever to touch a microphone, a founding member of The LOX / D-Block and, in recent years, one of hip-hop's most prolific solo artists. Scram Jones is a Grammy-nominated producer who has worked with the likes of Mariah Carey, Fat Joe, Lloyd Banks, Dipset, Raekwon, The Clipse and many more. 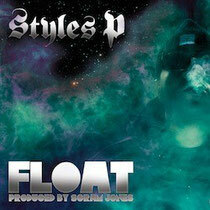 Now, Styles and Scram are joining forces for the new album ‘Float’, to be released on the newly re-launched High Times Records. Unlike some collaborations these days, ‘Float’ came about naturally. "I had sent a beat that Styles liked, and he came through to my studio to finish it," explains Scram. "He ended up jumping on four other beats that day and another four the next day. After eight records, High Times reached out about putting out a project." While both artists have had extensive careers, releasing an album with High Times holds special significance. "It's definitely an honour for two hip-hop stoners," says Scram. "High Times is a world famous brand and crosses all cultures and genres of music." As for the music, fans already know what to expect from these two artists. "Incredible lyrics and incredible beats," says Styles. With guest appearances from Jadakiss, Sheek Louch, N.O.R.E., and Raekwon, it's also an unapologetically East Coast affair. As Scram puts it: "The whole project is some classic New York hip hop."